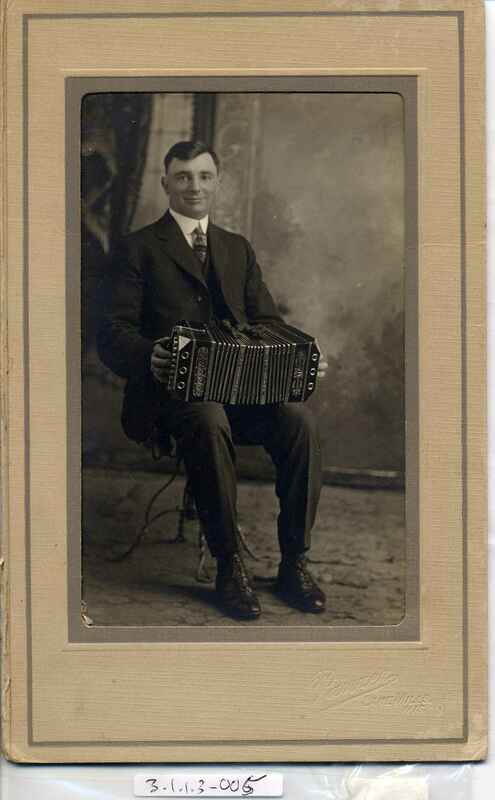 Full Description: A gatefold with a mounted postcard of a cheerful chap playing a large Chemnitzer Bandoneon, with metal mount reading "concertina". The card has a divided rear, is English, with the name "john ****" in pencil. 115 x 181mm.